​Rev. Lisa is a life-long Unitarian Universalist. After working as a religious educator with children, youth, and adults for 13 years, she completed her Masters of Divinity at Meadville Lombard Theological School in May 2012 and was ordained as a Unitarian Universalist minister in April 2013. For a year and a half she was the Tucson Director for Arizona Interfaith Power & Light, partnering with diverse faith communities on energy efficiency and earth stewardship. In January 2014 she began serving as Co-Executive Directors with Paul Mitchell and is now the Executive Director of Unitarian Universalist Justice Arizona (UUJAZ), our statewide justice and advocacy network. Rev. Lisa is the convener of our national coalition of state action networks, CUUSAN, and the Community Minister in Affiliation with the UU Congregation of Green Valley in Amado. Contact Rev. Lisa. ​Anne L. Schneider, PhD, is a retired professor of political science and former Dean at Arizona State University. Her specialty is public policy. She is the author of several books including, Policy Design for Democracy (Kansas University Press, 1997) and Deserving and Entitled: Social Construction and Public Policy (State University of New York Press, 2007). Professor Schneider has taught and conducted research on state politics, legislative governance, and the ways in which public policy impacts democracy. Her PhD is from Indiana University. Master's and bachelor's degrees are from Oklahoma State University. 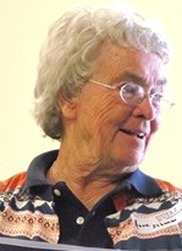 She is a member of the Valley Unitarian Universalist Congregation in Chandler, AZ. Anne’s bio reads pretty formally, and she’s all that, plus a hard-working woman dedicated to giving voice to her UU values. Contact Anne. Stacy Fitzwater has taught students in kindergarten through 8th grade in Arizona, D.C., Maryland, and New York. She now coaches teachers and coordinates intervention as a co-administrator at a public charter school in the West Valley of Phoenix, AZ. Stacy is an active member of the West Valley UU Congregation in Glendale, AZ, where she coordinates the Social Action Committee and can be found singing in the choir. She is grateful for the opportunities to connect with others who are passionate about creating positive change in Arizona by promoting UU values.